You’re a new homeowner. You have moved into your wonderful new house in the middle of the country and adjusting to the subtle sounds of nature and silence intermingling almost every hour. Perhaps you grew up in the city and aren’t used to the scrapes and tings of a home as it ‘breathes.’ Perhaps you grew up in the deep countryside and those sounds are second nature to you. Either way, if you are hearing what sounds like animals residing within the four walls of your home, then they probably are. Since this is your new home, then you certainly want to protect it from an infestation of wildlife, whether it is bats, squirrels, birds, or other critters who decided that you new home is the perfect nesting place for them. Yet this economy has made previously easy choices more complicated. Many people have lost wages, jobs, and are trying to scrape by long enough until the economy improves and they do not feel that they can justify the expense of hiring a professional wildlife removal company to come in and remove the critters for them. These same homeowners also understand that bats, for example, though not a protected species, are important to the environment, and to the homeowner’s peace of mind because they feed on the biting insects that can be a nuisance to those warm summer nights when you want to spend it outside. What to do? Boarding up all of the holes that you can see within the home may seem like the most reasonable and simple solution to the problem – if the animal wasn’t already inside your home. If the animals can’t get outside, then they will likely die, thus ending the problem. However, if you have never had the experience of living in a home in which an animal died in the walls or the attic, then just understand that the odor can be quite uncomfortable, and nauseating for some. Imagine not just one animal, then, but dozens or more. If you do not hire a professional wildlife removal company to remove the animals for you, then you can certainly do the job yourself. Keep in mind that there are certain things to know and consider when taking on critter control and wildlife removal yourself. What is a Batcone? What is a Procone? First, depending the type and size of animal you wish to remove, the best item you could purchase is called a Batcone or Procone. 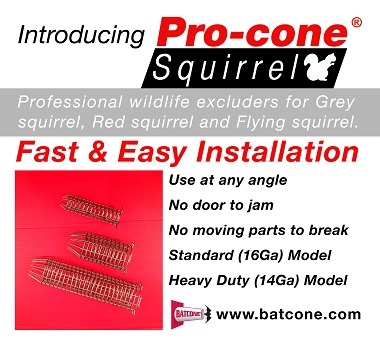 Recommended and used by wildlife removal experts with much success, this specially designed item attaches to the house where the bats or squirrels or other wildlife enter and exit the home. It allows the animal to leave, but its scientific design prevents them from getting back in. It’s that easy. Some people simply think that sealing the house off is the best answer, but with the Sample Batcone pack, which comes with an instructional DVD, you will soon realize how much safer, healthier, and better exclusion is for getting rid of unwanted wildlife in your home. The sample exclusion kit may be all that you need if you have a small house. If you are trying to save money, don’t make the mistake of killing them in your home or sealing them inside. The damage that could do could last for months, or longer, and could affect the health of you and your family . 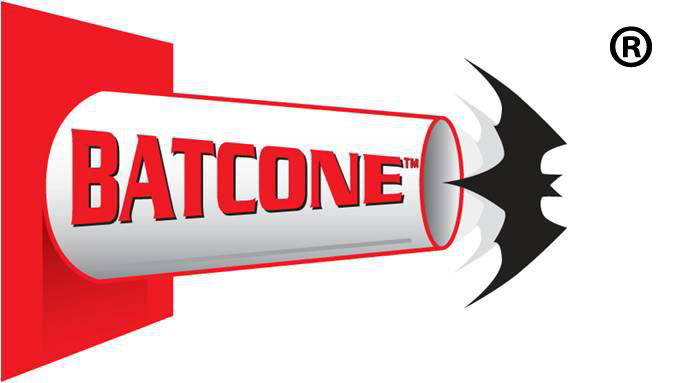 Try the Batcone Sample Kit for yourself and see why it is one of the best exclusion tools available to homeowners everywhere.